Another night macro session with my macro gang. When we got to our shooting site, we found that the grass by the sides of the path had been trimmed. There wasn't much insects to be found on the short grass. However all is not disappointed. We saw some other interesting creatures. My first subject was found my Michael. 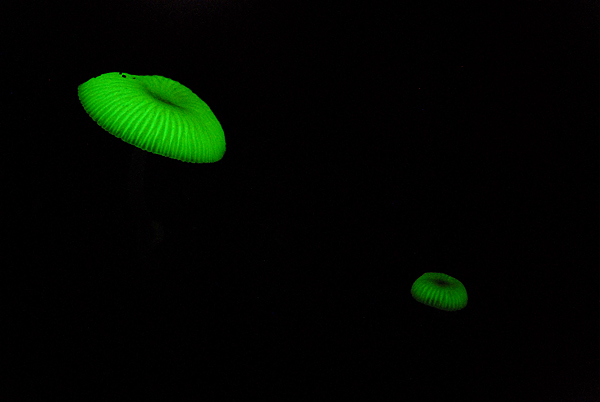 It was the glowing mushroom. After I finish shooting it, we realised that there are plenty of it in the dense vegetation. Michael said that these mushrooms grow on rotting wood. I couldn't get the image of the stalk of the mushroom though. 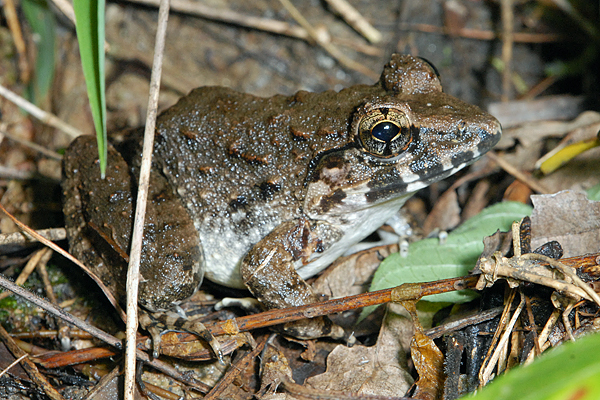 Next I found a field frog myself. Actually it was Michael who showed us the area of croaking frogs but... I did spot this frog myself. This creature was so quite and still, while listening to the smaller fellas make their forested music. 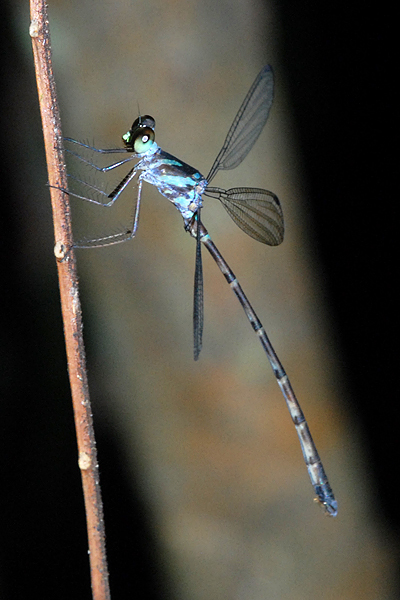 Andrew found this damselfly perched on a hanging twig some distance inwards. It is a Blue-spotted Flatwing. Quite disappointing with this shot as I did not realise that I was shooting at iso800. The image came out grainy when I looked at it at home. 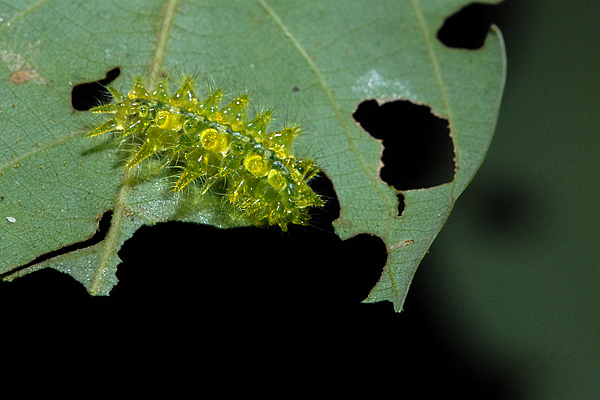 My next subject was a thorny caterpillar. My second last catch was the arrowhead flatworm. 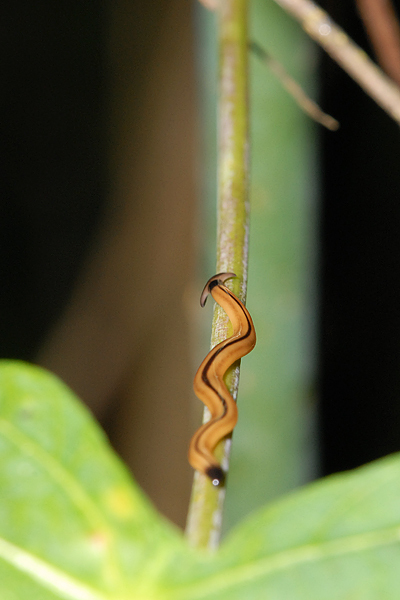 It is a Terrestrial Flatworm or Land Planarian. Another great night macro with new subjects to shoot.